“When a Pope dies,” explained Carlo Tavecchio, the FIGC president, “they elect another.” The national team will move on from Antonio Conte when he leaves after the European Championships this summer. The question is: to what exactly? Ever since the announcement that Conte misses the smell of the turf and will return to the daily grind of club football next season, speculation has mounted as to where Italy go next. They do not lack for world class managers. After Fiat, Ferrari and Alfa Romeo, Prada, Armani and Dolce & Gabbana, it is one of the Made in Italy brand’s very best exports. The trouble is no one among the outstanding candidates for the job is either available or believe the time is right. The dream was Carlo Ancelotti. Unfortunately it is an impossible one as Bayern Munich have chosen him to succeed Pep Guardiola at the Allianz Arena. Even if Ancelotti were still on the market, he has given the distinct impression that the national team does not figure in his plans at this juncture of his career. “Maybe in 2030,” he said. “There’s this 12-year rule with Italy that has gone on since 1970: we lost the World Cup final that year. Then in `82 we won the World Cup. In `94 we lost the final. In 2006 we won it again. So in 2018 we’ll lose the final. I’ll take over in 2030,” he concluded, raising an eyebrow. Two years ago Max Allegri and Roberto Mancini were the frontrunners following Cesare Prandelli’s resignation in Brazil. Both were out of work. Things then took a turn for the unexpected when Conte walked out on Juventus and Tavecchio pulled out all the stops, improbably persuading him to heed the call of his country in its hour of need. Might Tavecchio turn back to them? The answer is: ‘No’. Allegri is expected to put pen to paper on a new contract with Juventus next week while Mancini has said that the national team can wait. He has another year left on his current deal with Inter and besides, even if he were to leave on the basis of disillusion with the game in Italy and a belief that the club’s financial situation make it difficult for his ambition to ever be matched, FIGC politics mean it would be a long shot for him to land the job. 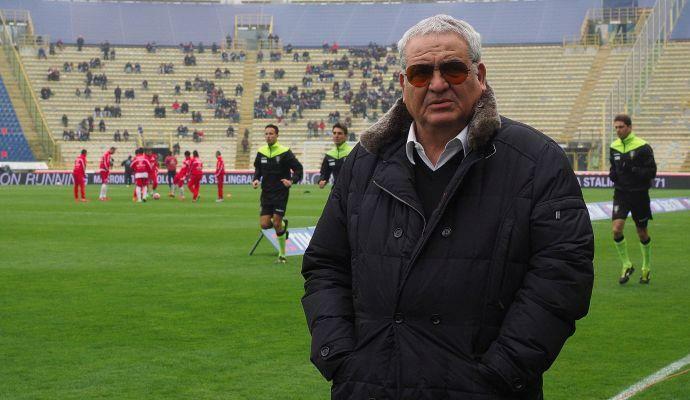 Tavecchio’s consigliere Claudio Lotito has bad blood with Mancini ever since he upped and left Lazio for Inter 12 years ago. So that’s another name on the short-list struck through with a red pen. You can rule out Luciano Spalletti as well after he committed to Roma in mid-January. While you’re at it, cross out Claudio Ranieri too. Not only is it Sir Claudio’s wish to end his career with Leicester and lead them into the unchartered territory of the Champions League next season, his experience with Greece principally served to make him believe international management is not for him. Fabio Capello is also “unmovable” on the matter. Hours after Tavecchio told journalists: “I’ll meet him,” Don Fabio took to the radio to say: “I’ve got no plans to meet anyone.” The England and Russia jobs appear to have turned him off the international game. Capello doesn’t need the money and will turn 70 this summer. Even if he were to indulge Tavecchio there is a sense that he is past his sell-by-date. Bringing back Roberto Donadoni is a popular idea. There has been a lot of revisionism about his first spell with Italy. Elimination by Spain after a penalty shoot-out in the quarter-finals of Euro 2008 doesn’t look anywhere near as bad in hindsight as it did at the time considering their opponents then won the tournament, retained it and claimed the World Cup in between. Donadoni has matured a lot and become a better manager in the meantime. The work he did at Parma and the instant impact he has made at Bologna have left people in little doubt of his merit. But how does he see it then? Does Donadoni have unfinished business or, on the contrary, consider Italy a closed chapter of his career? The impression given is the latter. Donadoni is onto a good thing with Bologna. A promising squad and the considerable backing of the Rossoblu’s owners mean there is great potential at the Dall’Ara. “I’m thinking about staying,” he admitted. The blue chip options are out of the running then. What Italy are left with instead are the uninspiring. Walter Mazzarri’s agent is pushing for his client to be considered. It would be hard to imagine an unsexier Nazionale than one coached by Walterino. Giampiero Ventura has achieved remarkable things with Torino. Much of his success has come with Italian players: Cerci and Immobile for instance. Matteo Darmian and Emiliano Moretti. Daniele Padelli [gulp]. This season Davide Zappacosta, Marco Benassi and Daniele Baselli. However, he’ll be 70 by the time the World Cup in Russia begins. Then there’s Gian Piero Gasperini. He is a great schemer and tactician and developing talent is also a forte of his on account of his grounding in youth football. But he strikes me as someone who needs the kind of time on the training ground you’re not going to get as national team manager. Alberto Zaccheroni has international pedigree. His time with Japan was a success on the whole. However, the Chinese Super League and Beijing Guoan called. Francesco Guidolin’s position at Swansea is up for the review at the end of the season. He would be another option. When it comes to deciding Conte’s successor, make no mistake ability has to be the priority. But what about likability and appeal too? How much enthusiasm would a Ventura, Mazzarri, Gasperini or a Guidolin generate? Would Italy continue to attract the same sponsors and interest. This is why rookies like Fabio Cannavaro, Marco Materazzi and Alessandro Del Piero have been mentioned. It’s not uncommon in other countries for legendary former players to get this sort of opportunity at the start of their career. 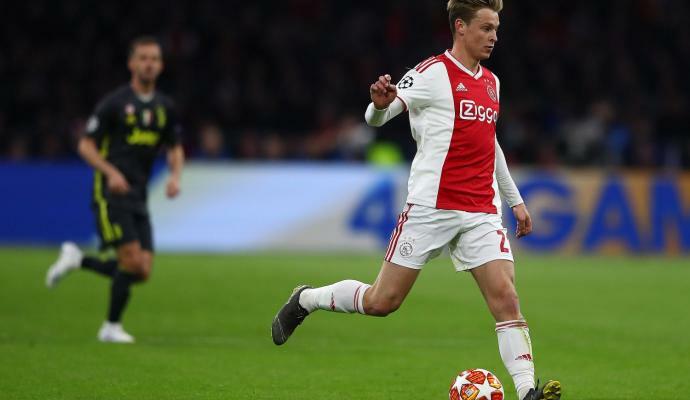 Look at the Netherlands for example: Frank Rijkaard, Marco van Basten, and Danny Blind… The difference is that they all had experience either in youth football or worked as assistants in the previous set up, guaranteeing a measure of continuity. Cannavaro has coached before but, need I remind you, that was in China and Saudi Arabia. To say Italy’s former World Cup winning captain is unproven is an understatement. Materazzi is in charge of Chennaiyin in the India Super League. Del Piero is an unknown quantity. By all means, involve them as staff or in an ambassadorial role, but anything more would perhaps be too much of a risk at a delicate time. I personally wouldn’t be averse to bringing Cesare Prandelli back. OK things went wrong at the World Cup in 2014 but he took Italy to a European Championship final, got them playing good football - tiki-takanaccio - and, crucially, had a long-term vision, bringing Marco Verratti and Federico Bernardeschi into the fold early when they’d yet to even play in Serie A. Appointed by Tavecchio’s predecessor Giancarlo Abete, it’s unlikely that, as a man of the previous administration, he would be re-considered. Budget restraints and funding cuts could instead prompt Tavecchio to promote from within as the FIGC used to do in the old days: like, for instance, when Azeglio Vicini stepped up from his role with the Under-21s to replace Enzo Bearzot and bring through a new generation of players. Gigi di Biagio has been with the FIGC for five years now. Unlike a club coach, he knows what he is getting into. He won’t be shocked at the lack of time with the players, the limited collaboration with the clubs and just how much they put their interests ahead of those of the national team. 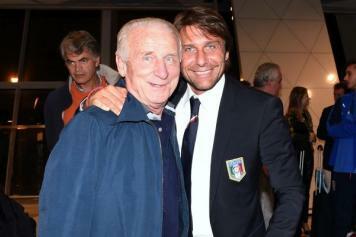 Conte wrongly believed he could change the status quo with the sheer force of his personality. So for him to accept defeat presumably discourages others and makes the job less appealing to those yet to get a taste of international management. The future of Italy is uncertain. It’s a sad state of affairs. I guess that’s why they call it the Blues. 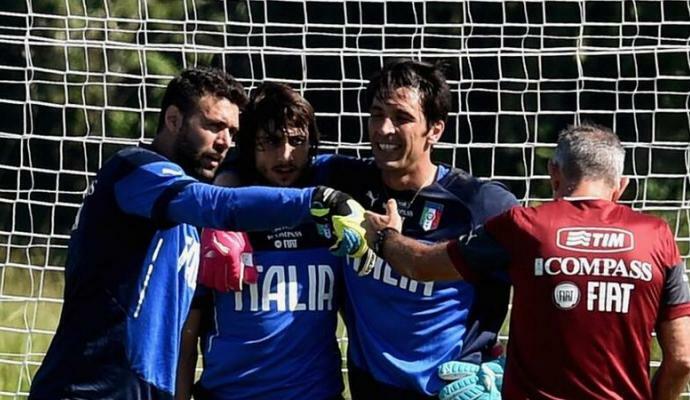 OPINION: Buffon may never be bettered... but Italy can replace him! 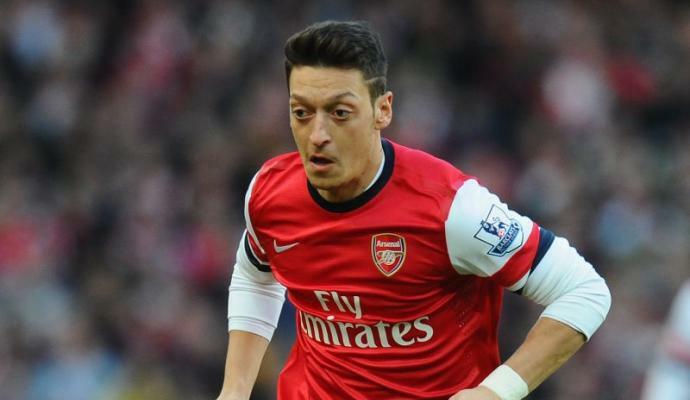 Barça to make most of Real transfer ban to snag Ozil? EXCLUSIVE Romano: Candreva open to Inter move!